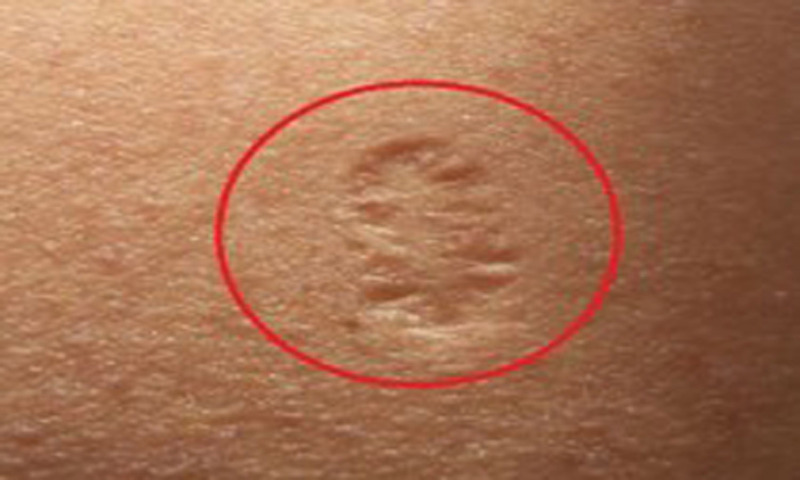 Do You Know the Truth Behind The Small Scar On The Upper Left Arm and Its Real Meaning? The small round scar on the upper arm is the scar from being vaccinated for small pox. Before 1970s, this smallpox vaccine was common. It used live Vaccinia virus in order to trigger an immune response that would protect people against the dangerous Variola virus that caused smallpox. After the vaccination, blisters forms at the vaccination area, crusted over, and healed in a couple of weeks. At the end it leaves a round scar. To deliver the vaccine, a bifurcated needle was dipped into the Vaccinia solution and the individual’s arm was poked several times. A small amount of the vaccine was deposited each time the needle broke the skin and blisters formed. This explains why the scars are so large. Right after the vaccine there is a small swelling at the vaccination site which persists for 6-8 hours. Then, the swelling disappears and the vaccination site looks normal. 6-8 weeks later a swelling appears again which looks like a mosquito bite. It starts to grow and forms a nodule which breaks open and discharges some fluid and forms an ulcer. The ulcer heals by forming a scar. This entire process takes 2-5 weeks. There are times when this process of ulceration and healing recurs 2-3 times. The formed scar remains for lifetime. Smallpox was no longer present in most of the Western world after the early 1970’s, so vaccination wasn’t needed unless a person was travelling to a country where the virus was still present. The Variola virus was certified to have been eradicated from the world’s population in 1980’s and this smallpox vaccination was stopped completely.